Stacy Michele Utz, daughter of Louis & Cheryl Utz. 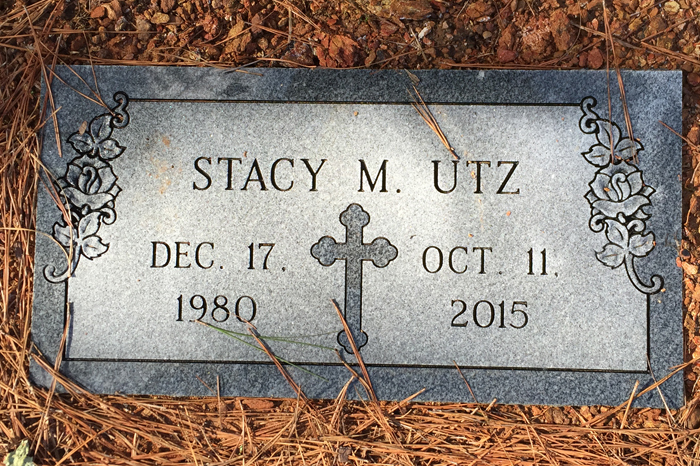 Ms Stacy Michele Utz age 34 of Woodstock, GA died on Sunday October 11, 2015 . Funeral Services will be held at 11:00 AM Friday October 16, 2015 from the Chapel of Darby Funeral Home. Family will receive friends on Thursday 4PM – 9 PM. Survivors include Parents Louis & Cheryl Utz, Daughters, Felicia Clayton, Nicole Maloon, & Misty Maloon, Sons, Dillon Tate , Dallas Tate, & Denver Tate, Sister Lorene ( Erick) Westmoreland, Brothers, Dustin Utz, Christopher, Utz and Brian Utz.